I’ll admit something that most startup founders won’t: I’m not passionate about my product. In this post, I’ll share my thoughts about building a meme generator that won’t change the world. Three months ago, I left an amazing job at Google to work on building a startup with a friend. I left because it’s my dream to build an impactful product from scratch, and I felt like I’d reached a local maxium at Google. After a couple of failed ideas, we launched Kapwing about a month ago. 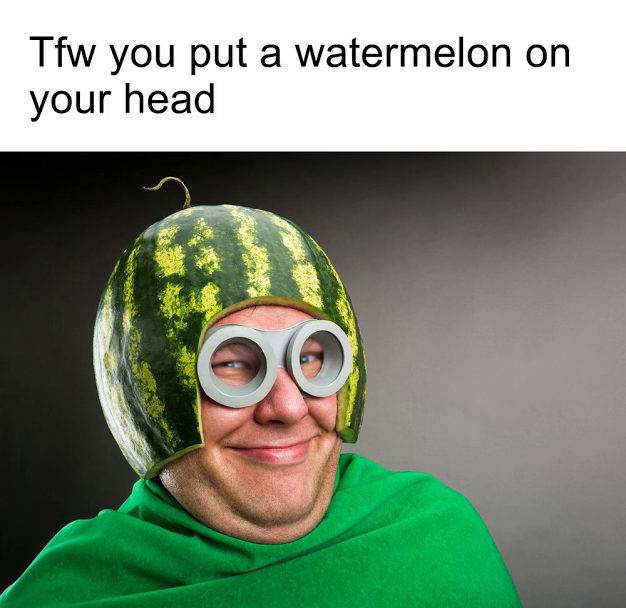 Kapwing is (currently) an online meme generator, and users can pay to remove the watermark (with a pretty unique pricing strategy). Two weeks ago, Kapwing made its first dollar, and now we have hundreds of dollars in MRR. Kapwing is my first internet business, and I’m proud to have built something that people are paying for. I generally don’t care about the problem we’re solving. I don’t personally make memes, watch video memes, or follow meme makers. Many of the Kapwing memes are dumb, mean, or inappropriate. Also, I’m not sure if memes are good for the world. My dream was to found a company that helps people live happier, healthier, more meaningful lives. Do memes actually improve people’s lives? 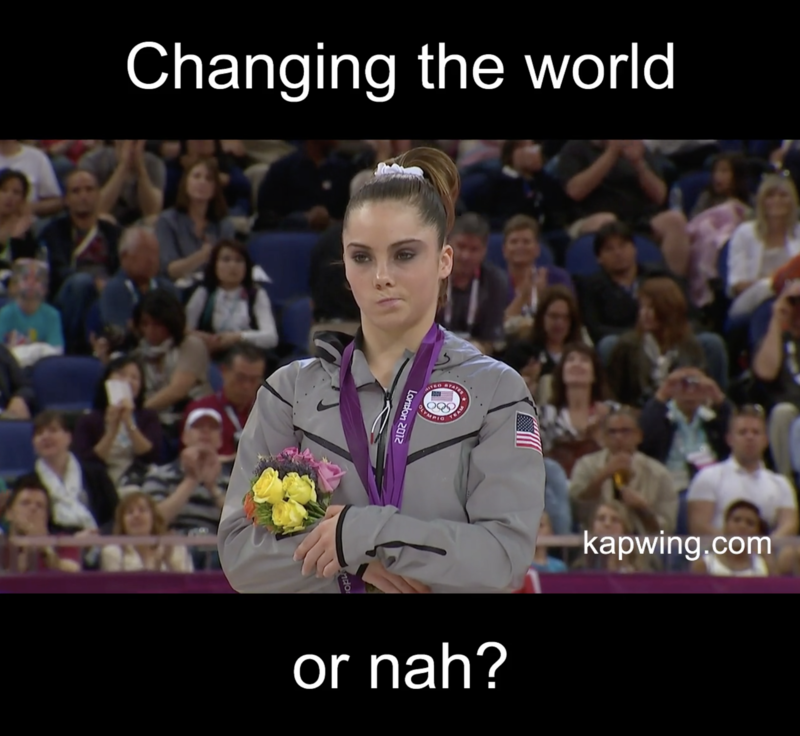 Idk, but I don’t think a meme generator will change the world. 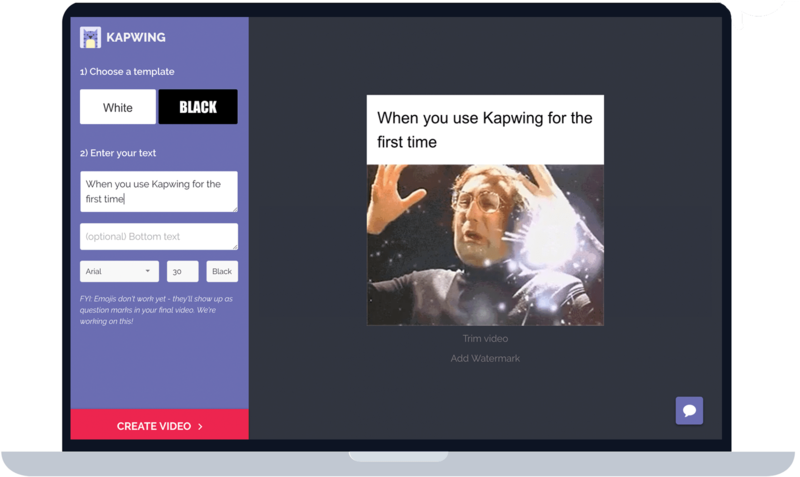 It’s a truly useful product: Kapwing saves meme makers from tedious tasks in iMovie or Adobe. Apparently it’s an urgent and pressing need. Kapwing users tell us they love it and that they would be “devastated” if the site went down. It grows linearly: We can bootstrap because revenue grows in proportion to our site traffic. We already have recurring revenue. It’s a pure software company: Kapwing doesn’t have an operational component. We make money in our sleep and scale with negligible marginal cost. It’s fun to build: We’re making funny video tools, not obscure data pipelines or client dashboards. QA is hilarious. It’s teaching me skills I can apply to future ventures: While developing and growing Kapwing, I’ve learned how to code in Python, create campaigns in Adwords, reach out to journalists, post on Reddit, go viral on Facebook and Hacker News, and a thousand other skills that will be valuable for my next startup. It has potential: Kapwing could expand to be a suite of cool shortform video making tools, and we have all sorts of ideas about ways to grow it and features to build. Shortform video is an exploding marketing medium, and Kapwing could move in to mobile apps in the future. Occasionally, the memes are cool: Teachers, motivational speakers, and non-profits have used Kapwing to promote their work. Will I spend years of my life building a meme generator? Maybe, but I hope Kapwing will be way more than just that. 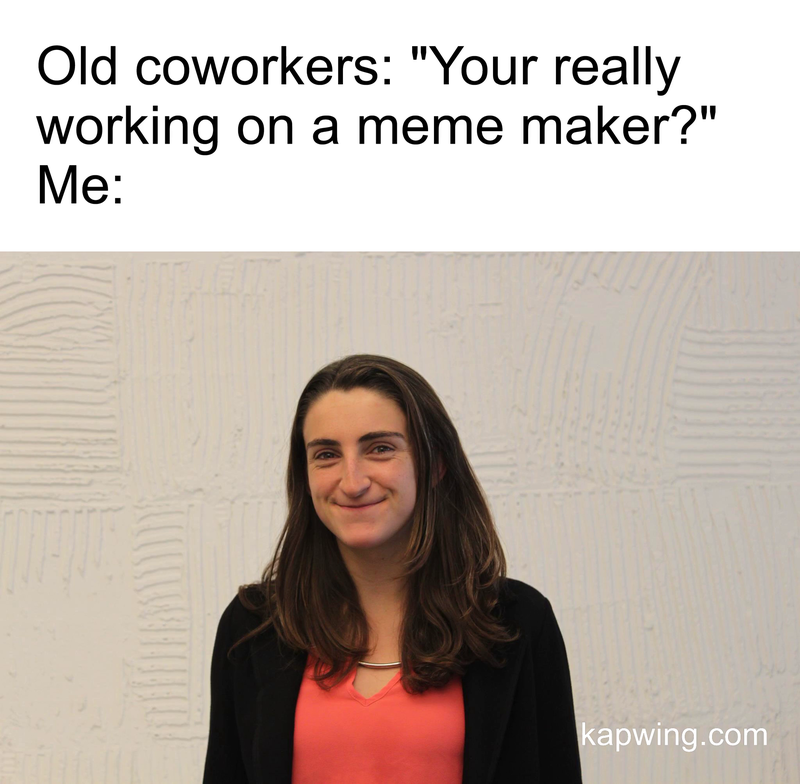 My co-founder and I envision that Kapwing will include storytelling and creative tools beyond meme making. If we can expand our product offering to include more cool stuff, I’ll become more passionate about the Kapwing mission. If we can’t, then Kapwing will be one learning experience on my way to “changing the world.” Right now, we’re focused on trying to pay our rent and not getting too distracted by “meaning” along the way. In the meantime, maybe I should just fabricate my own passion, fake it until it’s made. “Meaningfulness” depends on how you tell the story: You can think of Kapwing as a creative expression toolkit that strengthens communities and empowers digital communicators, or you can think of it as an internet meme maker that allows people to tell dumb jokes. Both are equally true. It’s easier to get stuff done when you buy in to the fluff: Making myself believe in the longer-term, shinier vision has made me a better engineer, designer, growth hacker, and sales person for Kapwing. If you’re obsessed with Meaning your company will get stuck in analysis paralysis. Passion is important, but so is everything else: Many startup gurus have advised that a startup cannot succeed if the founders are not passionate about the idea. But a startup could also fail for hundreds of other reasons, and no idea is perfect. Success when you don’t care that much is still super exciting, but failure when you do care is heartbreaking. It’s hard to find an idea that will change the world: Everyone dreams about creating a company that will change the world, but if the product doesn’t get users or doesn’t make money, it will die before it has the chance to make impact. Searching for the perfect idea is like trying to catch lightning in a bottle. Thanks for reading! Stay tuned for more updates and stories as Eric and I work on growing Kapwing to ramen profitability.